Short review: I loved it. This is the best fantasy adventure movie I can remember seeing since The Lord of the Rings and the original Star Wars trilogy. The cute sidekick (Woola) was actually cute rather than annoying, and all the characters were well-drawn (though John Carter himself was a bit dour). The visuals were amazing and the acting was mostly top-notch. There are a few minor cosmetic things I would have changed, but I’m not going to go into those because they were for the most part irrelevant to the spirit of the story. I think it is admirable how close they stayed to the original stories, especially compared to what Hollywood writers usually do with scripts. I’m also impressed by how they did not water down the Confederate soldier aspect of John Carter’s character. Personally, I think the name of the movie should have been Barsoom. John Carter is just too bland for most movie consumers. Most of the people I talked to had no idea what it was about and were not familiar with the books by Edgar Rice Burroughs. John Carter of Mars would have been better, but still not ideal, as I think it would read as too campy for mainstream audiences. Barsoom sounds mysterious and alien. It would have given the studios a better franchise to work with too. Future titles could have followed the pattern of the book titles (“Warlord of Barsoom,” “Gods of Barsoon,” etc). Unfortunately, due to the studio’s loss on the first installment, we will likely not get a second. The major criticism I have read by others is regarding the addition of the tragic backstory (see Grognadia and Howling Tower). This actually didn’t bother me that much; being a soldier on the losing side of a war is pretty tragic too, and I don’t think the addition overwhelmed his character. The courtly southern gentleman aspect didn’t really come through at all though, which in my mind is a bigger failing. And where was the southern accent? This entry was posted in Uncategorized and tagged movie on March 27, 2012 by Necropraxis. 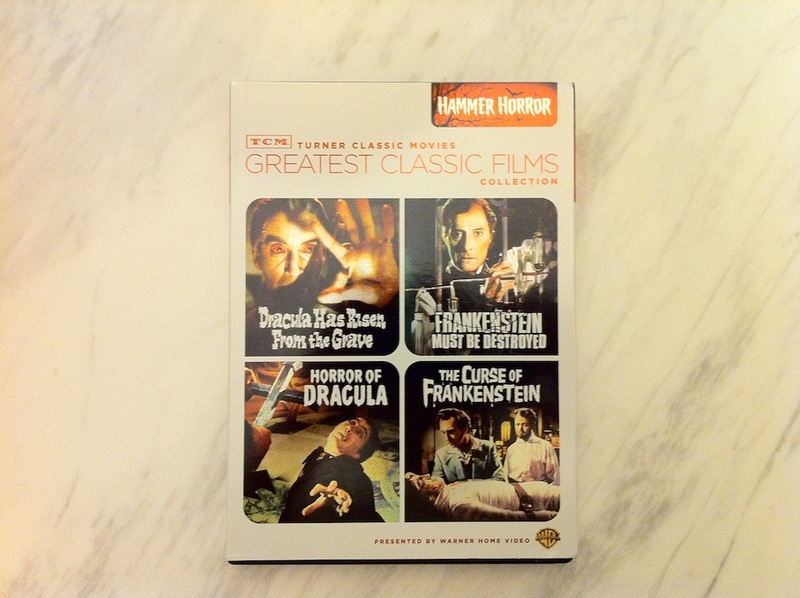 I had not heard of Hammer Horror films prior to being a regular reader of Grognardia (see this post). After reading the argument that Van Helsing was one of the inspirations for the cleric class, of course I decided that I had to watch some of the Hammer films. So, I did some web research, and this DVD set seemed to be a good place to start. Quatermass and the Pit and The Devil Rides Out also seem interesting. Speaking of clerics (this is my attempt at a segue), The City of Iron recently wrote about doing without the cleric class using blessings & pacts. I was just thinking about sources of cleric power, and one of my ideas was “Hierarch; source is a higher-level cleric (it’s turtles all the way up)”. Any cleric can grant spells to other characters. 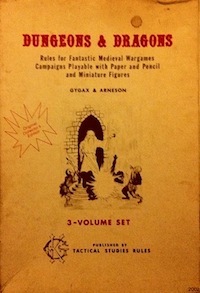 Max level of spell that can be bestowed is one less than the highest level the cleric can cast (e.g., a cleric that can cast third level spells can delegate first and second level spells). As long as the spell remains granted, that spell slot is occupied. The cleric can revoke the granted spell at any time. The cleric will know when the spell is discharged, but not the specific circumstances. Some monsters could also be able to bestow similar blessings. Non-clerics can at most retain one granted spell. I’m not sure if I would actually want to play with this system, but I think it is an interesting variation. This entry was posted in Uncategorized and tagged cleric, movie on December 20, 2011 by Necropraxis. It’s the schemers that put you where you are. You were a schemer, you had plans, and uh, look where that got you. I just did what I do best. I took your plan and I turned it on itself. Look what I did, to this city with a few drums of gas and a couple of bullets. Hm? You know what, you know what I noticed? Nobody panics when things go according to plan. Even if the plan is horrifying. If tomorrow I tell the press that like a gang banger will get shot, or a truckload of soldiers will be blown up, nobody panics, because it’s all, part of the plan. But when I say that one, little old mayor will die, well then everyone loses their minds! [Joker hands Two-Face a gun and points it at himself] Introduce a little anarchy. Upset the established order, and everything becomes chaos. I’m an agent of chaos. Oh and you know the thing about chaos, Harvey? It’s fair. [showing the unscarred side] You live. [flipping, showing the scarred side] You die. This entry was posted in Uncategorized and tagged movie, quote on November 1, 2011 by Necropraxis.